At the moment, the only minivan on the market with a hybrid option is the new Chrysler Pacifica Hybrid. While Chrysler is enjoying this privilege, at least one competitor is looking into changing that. 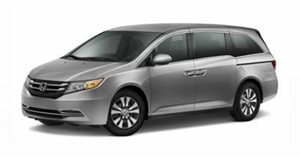 According to Ward’s Auto, Honda is considering giving its recently redesigned Odyssey the hybrid treatment and, fortunately, it already has the technology needed nearly ready to go. It just requires some minivan modifications. 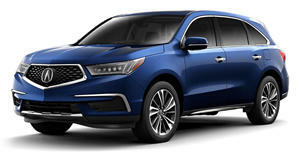 “We just released the hybrid (Acura) MDX so that powertrain could be considered in the future, although we can’t comment on particular plans,” says principal engineer-Honda R&D Americas Tom Sladek. It’s worth noting that the Odyssey and MDX crossover both ride on the same unibody platform. 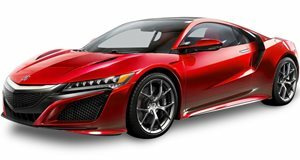 So where does the Acura NSX hybrid supercar fit into the story? Well, the MDX Sport Hybrid’s three-electric motor system is derived from the NSX, although it was adapted to accommodate a larger vehicle. The MDX Hybrid also sports a 3.0-liter gasoline V6 while the Odyssey comes powered by a 3.5-liter V6, although because of the shared platform, making the necessary switch shouldn’t pose much difficulty. However, installing the NSX-derived hybrid tech into the Odyssey would also likely require, as was done with the MDX, all-wheel drive, something that Honda/Acura just so happens to also have ready to go.